When you spend your hard earned money on a new MacBook, you certainlywant that money to last. You want the hardware to endure and the systems to run smoothly, but you also want to preserve the way your computer looks — people don’t get to see your hard drive! To prevent fading, scratches, nicks, and other damages, you might instinctively turn to a case. However, a case only works well in transit—once your laptop is out and in the world, it’s vulnerable. It also makes your thin and paper-light investment heavy and bulky, which defeats the purpose of paying more for a lighter item. 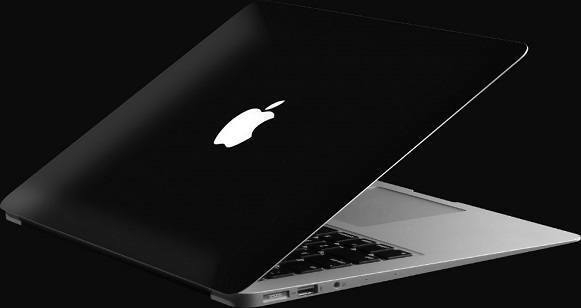 So instead of buying a thick and only semi-useful case, you can now order a MacBook skin! According to WiseGEEK, a skin or decal for MacBook and other Apple products is an adhesive wrap that’s applied to the cover, underside, and trackpad of a laptop. It sticks tight to the surface of your device and fits like a glove (or a second skin, in this case). Even though they’re thin and snug, skins protect against scratches and spills much like a case does, offering your expensive products an extended life against fades, stains, scratches, and more, even while you’re working. Aside from adding some portable protection, MacBook decals are also easily customizable with insanely cool designs and colours. Everywhere you look, you can see someone working on a laptop. Skins give you the chance to express yourself—or at least stand out from the crowd. Great skin providers will let you customize colour combinations, play with mattes and textures (like leather, for extra grip and a soft feel), or even make your laptop look like it’s cut from teak or mahogany. With the latest MacBook decal options, there’s one to match almost any personality, making your device an extension of your individual style for a one-time and very inexpensive purchase. Skins also allow you to have the same look on all of your devices. Companies don’t always make the same case for phones, computers, and tablets. However, when you find a great MacBook decal provider you can actually coordinate all your gadgets. So if you have an iPhone and iPad along with your Macbook, you can get matching skins for all three devices and definitely look fresh, stylish, and tech-savvy. Whileskins are certainly more popular than ever, that doesn’t mean that every company has the same quality product. It’s imperative to do some quality research to find the right price and quality that you’re looking for. If the skin doesn’t fit your device correctly, it won’t protect as well as a proper skin should. Look for companies that use 3M vinyl for the best in protection, cut, and fit; this substance should also allow you to remove and re-apply when it suits you without lingering residues. You want your Macbook to be as sleek as it was when you took it out of the box. The latestMacBookdecals will ensure your devices stay thin and sleek while still keeping your important tool scratch-free. So don’t lug your MacBook around in a bulky case that makes a lightweight product heavier; wrap a skin on it to stay protected while also staying sleek, classy, flashy, or any other style you want.